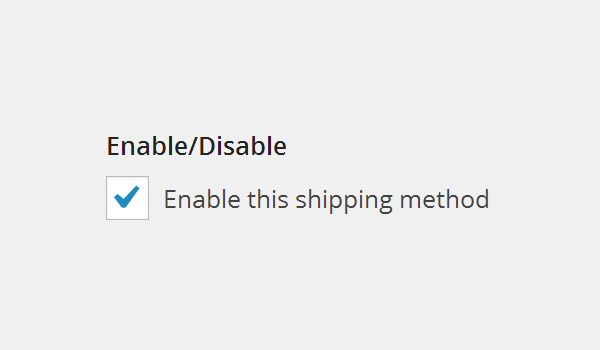 In our previous article we discussed how a store owner can configure the settings in the Shipping Options section. WooCommerce offers multiple shipping methods which you can implement to deliver items/products to your customers. Today I will be taking up every method separately in detail, explaining how you can configure the settings for these shipping methods. We will start this article with the settings of shipping through the flat rate shipping option. 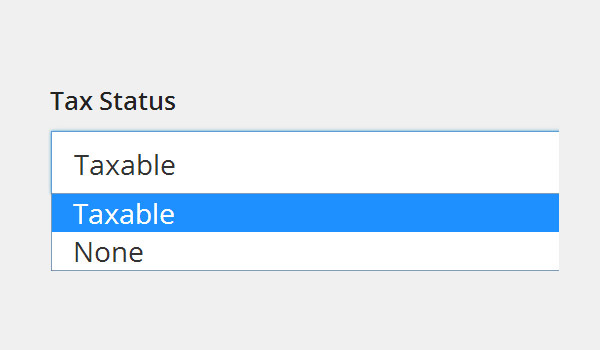 By now I am sure you know what the option for Enable/Disable means. You may enable this option if you want to offer shipping at a flat rate to your customers. 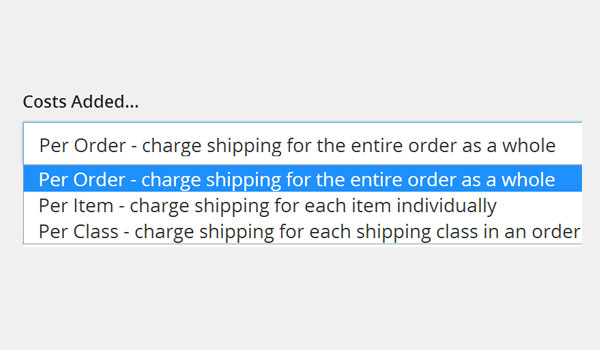 The field for Method Title will decide what text will be displayed to your customers if you are offering flat rate shipping. 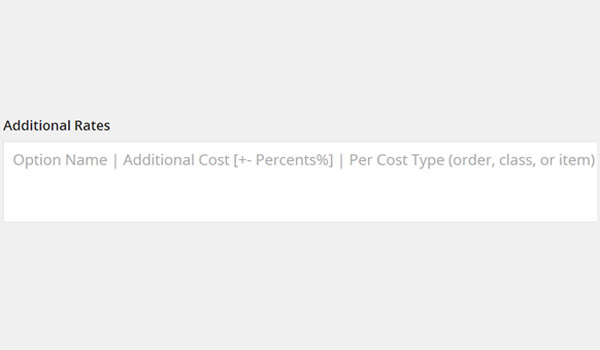 Once again WooCommerce has set a default value of Flat Rate at the time of plugin installation, but a store owner can set it to any custom value. 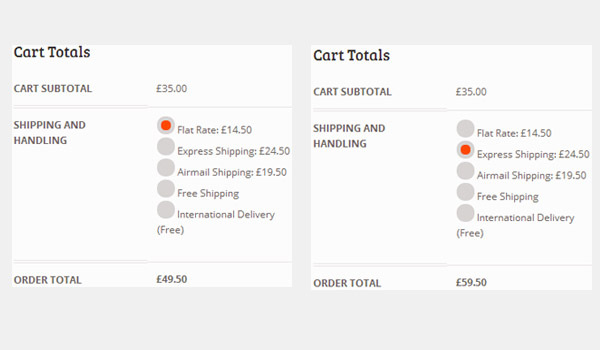 The figure above shows that if we change this field to Flat Rate Shipping Method and save the changes then the same title will appear on the front-end. You can limit the destinations where you will offer shipping at a flat rate. 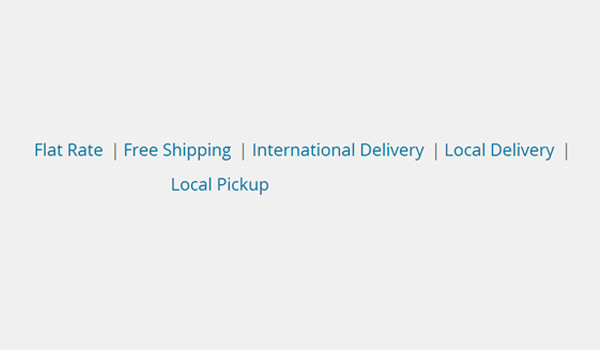 The option of Availability is a dropdown menu from which you can allow flat rate shipping to All allowed countries or to some Specific Countries. 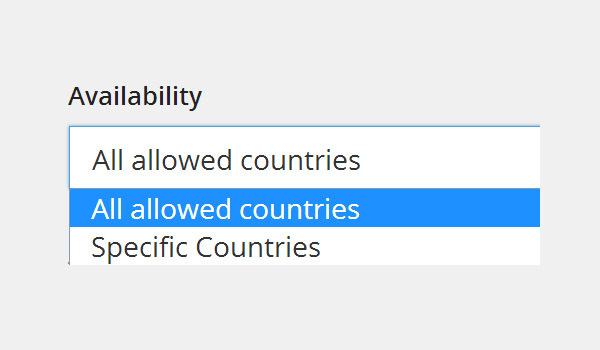 If you select some Specific Countries then you'll have to choose the specific countries from another dropdown which appears next to this option. An online store owner has the choice of applying taxes to the various shipping methods or not. You can add the cost of taxes like Value Added Tax (VAT) or the Sales Tax if you set the Tax Status option as Taxable. Otherwise you may select None and the shipping cost will not include any such tax. 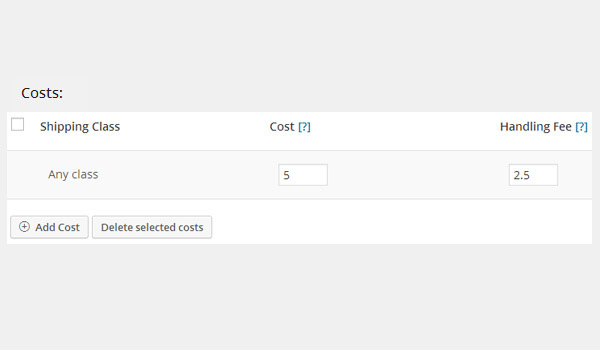 In WooCommerce, if you are willing to implement some additional taxes other than the standard flat rates then you can use the function of Additional Rates. 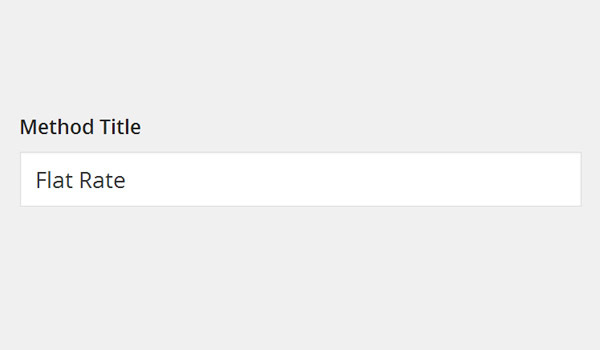 WooCommerce guides its users about how to fill the details in this setting. You will notice in the above figure that some attributes are displayed which are filled according to a particular format, i.e. 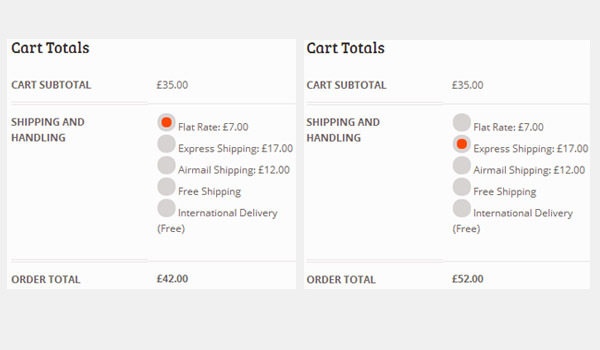 Option Name: Here you will enter the names of shipping methods other than the flat rate, e.g. Express Shipping, Airmail Shipping, etc. Additional Cost: This is the additional amount which will be applied on every product other than the base flat rate. Per Cost Type: The attribute of Per Cost Type may apply to every class, order or item and will decide how this cost will be applied. Now I will explain how these Additional Rates can be set at the front-end with the help of an example. In the above figure I have added an additional price of 10.0 and 5.0 for the newly defined shipping rates of Express Shipping and Airmail Shipping, which will be applicable on every order. So, considering the fact that I have fixed £7.00 for shipping with flat rate, now the total charge for Express Shipping becomes £17.00 (10.0+7.0=17.00) and the Airmail Shipping becomes £12.00 (7.0+5.0=12.00). Shipping Class: This field defines various shipping classes of items that are added to the cart. Cost: Here you will enter the applied cost, which will not include the tax rate. Handling Fee: This is another kind of additional amount that will be added to your final product price. Here you will enter the data either in the form of numbers (e.g. 5.5) or in percentages (e.g. 4%). Any class: If a user is defining the cost for a product's shipping class then this field will apply. 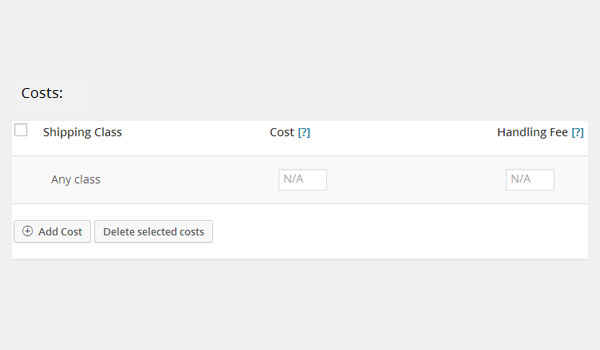 For example, let's fill the fields with the data shown in the above figure, where I have fixed Shipping Class=Any class; Cost=5; Handling Fee=2.5. When I save these changes, the cart page will display new prices. 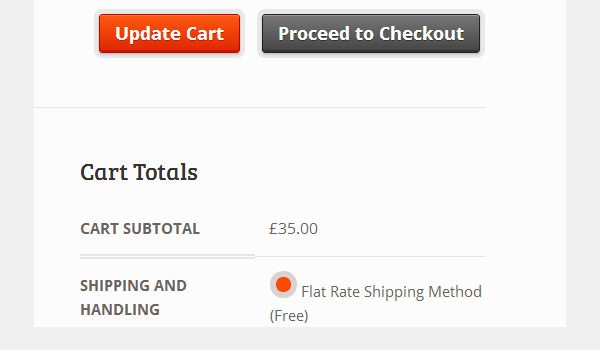 So, when a customer selects flat rate shipping, the total price for the product is £49.50. In the same manner you can calculate the total cost if a customer selects the option of Express Shipping Method or any other. The last field for setting which you will see in this section is for the Minimum Handling Fee, which is the minimum amount which will always be charged to customers. 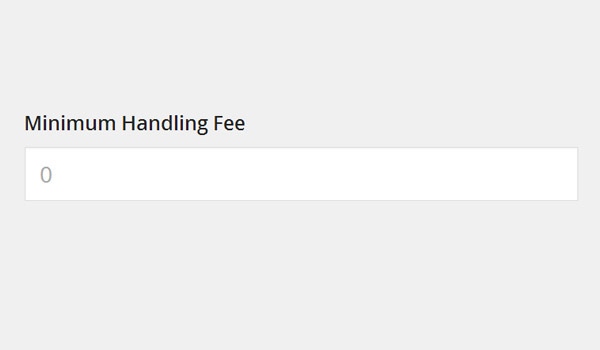 If you do not want to apply this fee, then you may leave this field empty. In the end, click the Save Changes button. 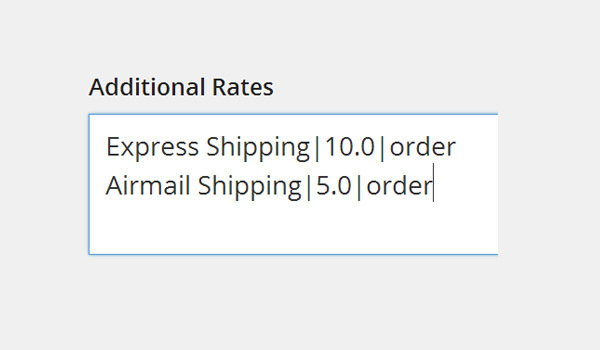 This setting completes the configuration of flat rate shipping. In the next article I will explain the rest of the settings for the remaining shipping methods.